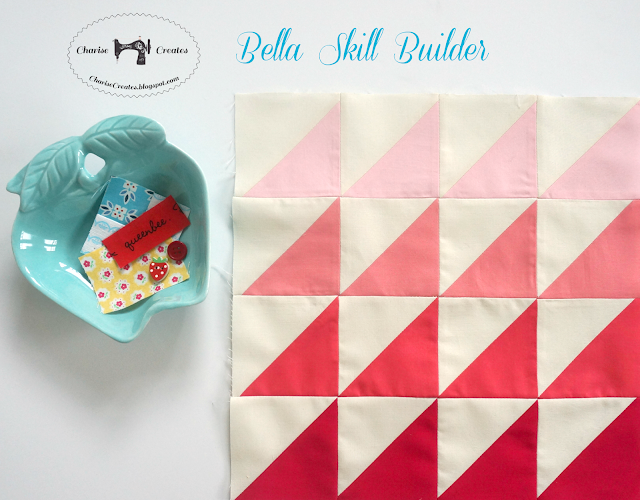 Today is the reveal for the fifth block in the Bella Skill Builder Sew Along hosted by The Fat Quarter Shop. The lovely quilt is designed by Sherri McConnell of A Quilting Life. This month the block consists of half square triangles. Fat Quarter Shop has some nifty paper to help make these. I decided to do an ombre effect for my half square triangle block and I love it! 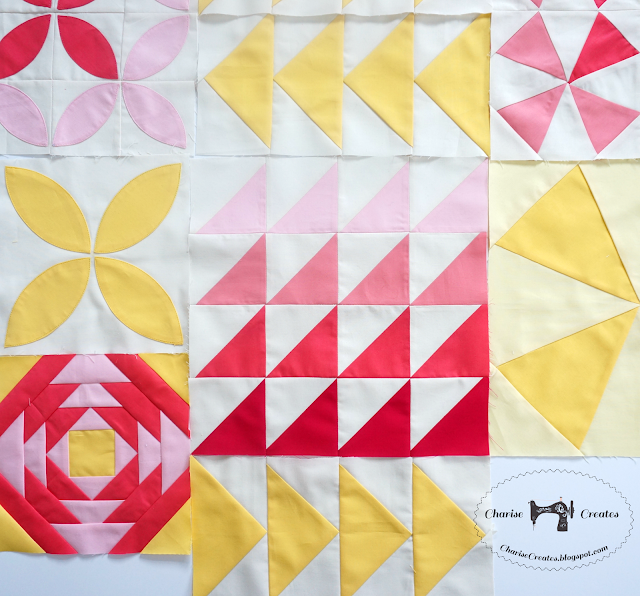 Be sure to click on over to the Fat Quarter Shop Blog to get the pattern and a link to a video to help you make the block. And, don't forget to tag your pics with #BellaSkillBuilder ! I love your ombre effect! 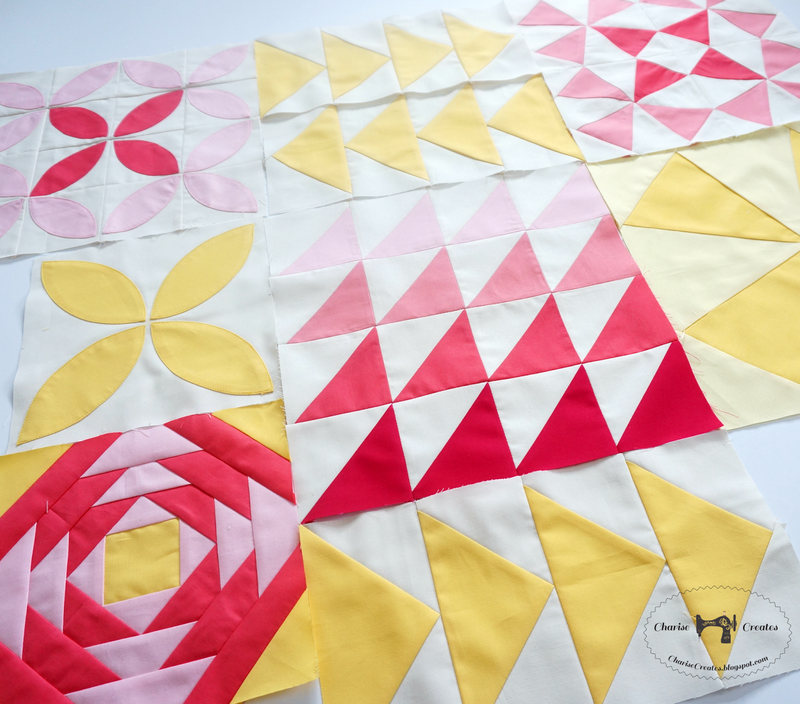 I'm crushing on HSTs today. Saw several cute scrappy HST quilts on my Pinterest feed (guilty pleasure with my morning coffee!) and just ordered the 4" HST die from Accuquilt for my GO! cutter. Maybe I can chop up some of my scraps for a leaders/enders project?